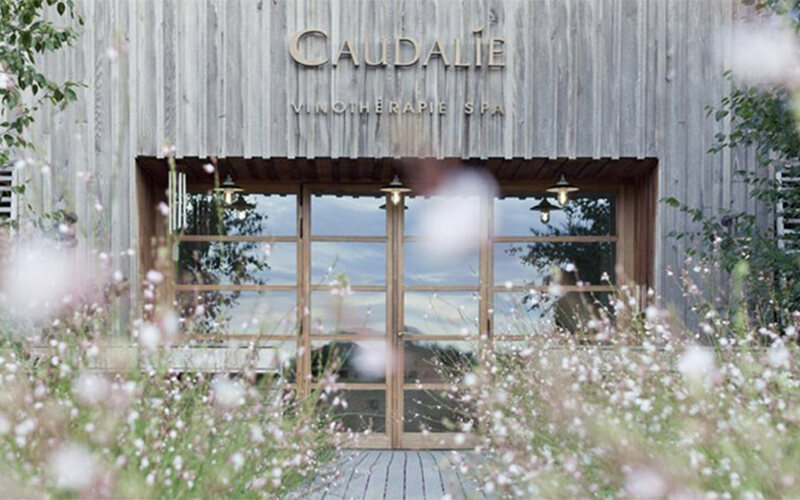 If you know anything about Caudalie, world-famous, grape-based beauty products, then it shouldn’t come as a surprise that the French brand’s origin goes back to Château Smith-Haut-Lafitte, a vineyard in the wine-centric region of Bordeaux. Almost two decades ago the antiaging properties of grape seeds and the anticancer effects of a compound found in the skin of red grapes started to reign over beauty regiment. 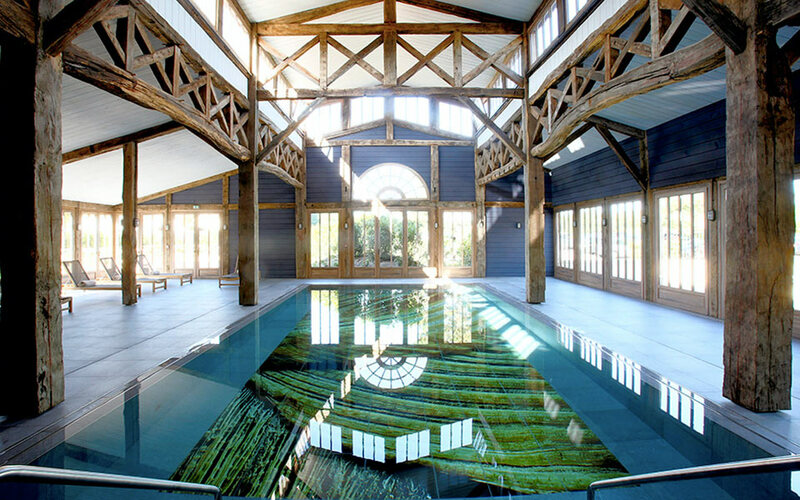 No one was better poised to capitalize on this phenomenon then owners of Château Smith-Haut-Lafitte, who launched Vinothérapie Spa at Les Sources de Caudalie effectively becoming the first company to patent a skincare line based on vinotherapy. Today, the bucolic property features a spectacular hotel and a spa which features a host of grape-oriented beauty treatments. Spa-goers can spend the day soaking in wine-barrel baths, enjoy massages with grape-seed oil or other wine-based options like the Cabernet Crush exfoliation. Other activities include cooking and wine-tasting classes, indoor and outdoor pool, a tennis, a three-hole golf course and a fitness trail. 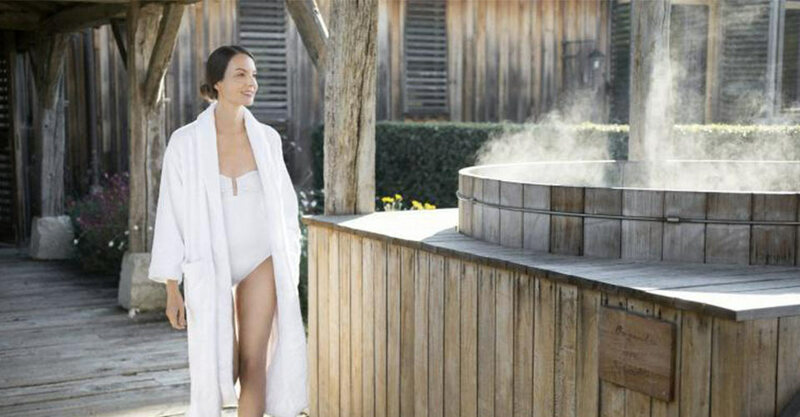 True to its French pedigree, Vinothérapie Spa at Les Sources de Caudalie offers three gourmet options located on property. There is the two-Michelin-star, fine-dining experience at La Grand’Vigne, wine-infused Rouge for brunches and tapas, and La Table du Lavoir for a casual meal. Keeping true to the domain’s oenological roots, all restaurants feature the château’s highly regarded wines.